Cherry Chan’s father launched his own import-export business back in 1964. Thirty years later, Cherry decided to continue from where her father left off. According to Cherry, “Native Arts and Crafts started operations in 1994, a spin-off of the original family business.” Cherry explained further that “it was set up exclusively for the export of Philippine handicrafts, while the import side was discontinued.” Her father’s experiences, combined with his extensive network of suppliers built up through the years gave Cherry a good foundation for jump-starting the new endeavor. Clockwise from top left: Bamboo and cement Chantal candle holders by Tes Pasola; detail from Bento Flower Box Collection; Waverly lanterns by Detlef Klatt. “Because we have been in the business for many years, we’ve established contacts with suppliers of different local materials,” Cherry said. “This allows us to be versatile in creating products that combine different elements,” she continued. That advantage was put to the test when Cherry signed up for CITEM’s Design for Commune program. Two of the program’s creatives, Tes Pasola and Detlef Klatt, helped push Native Crafts to new directions with demanding concepts. 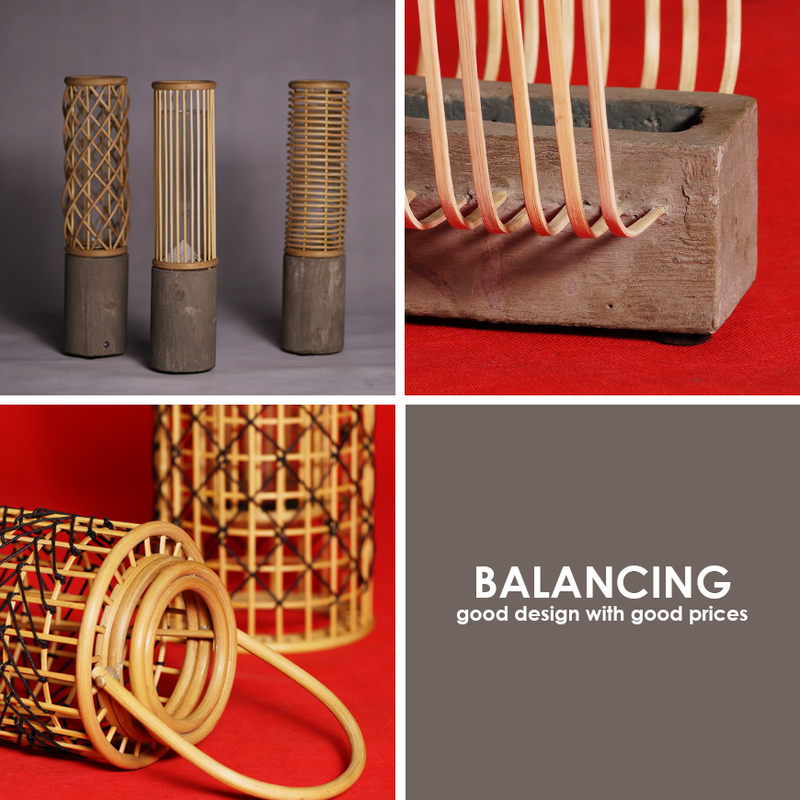 The designers’ striking works - exhibited at Manila FAME October 2018 - revealed their creative swagger, combining cement and bamboo to subvert the traditional notions of local crafts. 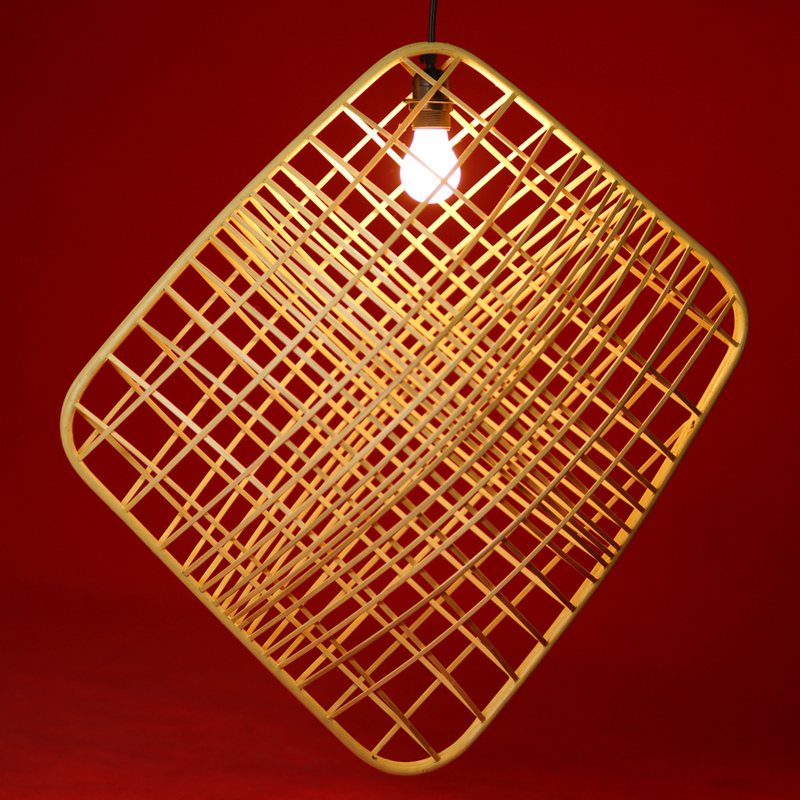 Detlef Klatt’s Pillow drop light, made from bamboo. Detleft and Tes’ Benton Flower Box series looks like the rogue - yet adorable - love child of incongruous materials with the raw character of cement setting off the delicacy of bamboo. Tes continued with the theme for the Chantal candle holders, crowning the gritty cement base with delicate glass tubes. Detlef’s other works, that includes the playful Pillow drop light and a collection of lanterns, enhance the playful mood. All in all, Tes and Detlef’s collections complemented Native’s Crafts’ more subdued designs to provide Manila FAME’s visitors with a broad range to view, or choose from. Benton Flower Boxes by Tes Pasola, Benton Green House by Detlef Klatt (right).